The first day began with a visit of Molenbeek, one of Brussels’ municipalities known for being a targeted area for violent youth extremism. The partners engaged in an open discussion with Olivier Vanderhaeghen, a Prevention Officer based in Molenbeek. Mr. Vanderhaeghen provided the partners with background information regarding youth radicalisation in Molenbeek. He said that “in 2012, 480 Belgians left the country to go to Syria from Molenbeek. 130 came back, and most are in prison. Belgium accounts for 10% of the Europeans fighting in Syria.” In 2014/2015, a considerable number of women and children left to join the fight. By 2016, there were no more departures, due to increased security measures. According to Mr. Vanderhaeghen, the social consequences of those departures are severe, especially on the families of radicalised youth. He discussed the backgrounds of the youth that are typically targeted, and said that “there are no profiles, only commonalities.” He added that the most important tool for countering violent extremism is to bridge the gap between the Muslim community and the Belgian system, while also understanding that psychological problems are the ones playing a large role in violent extremism, not religion. Next, the partners attended a meeting in Anderlecht, another high-risk municipality in Brussels. 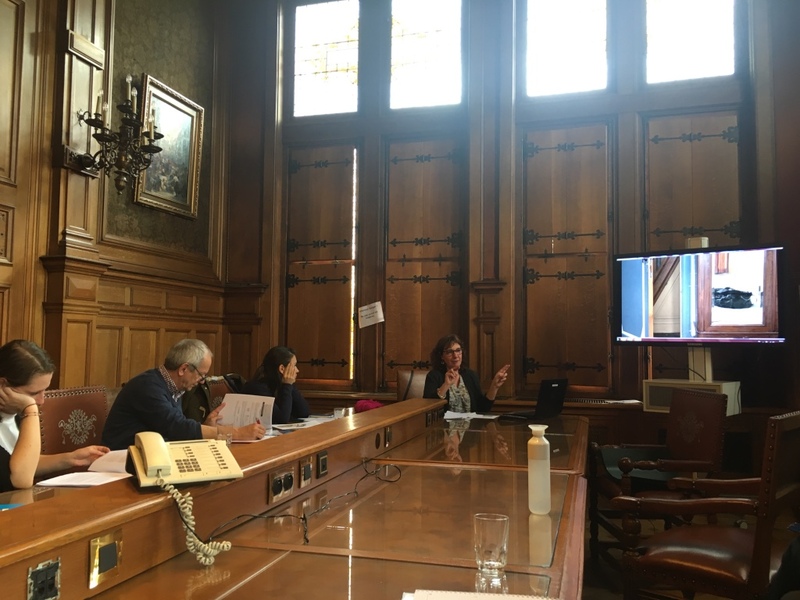 There, they met with social workers from the ‘Prevention of Radicalisation Programme of the City of Anderlecht’, who presented their methods regarding the way to reach at-risk youth, as well as a three-part prevention guide. The first step was called ‘Social preventative activities’, which are ways to remain active and present within the community. The Anderlecht social workers do so by creating weekly, interactive programmes, designated for youth and their families. The second part is called ‘Support for the individual and the family’, which is a service open to the community, for families or schools, who are thus able to reach out if they have questions regarding violent radicalisation, or anything related. The third part is called ‘Awareness and training for professionals’, which is a service that provides training for anyone interested on how to recognise radicalisation. The second day, the partners met in the morning at the IJJO Brussels office to discuss and debrief about the status of their current projects. Following this, they traveled to Schaerbeek for the final stop of their study visit in Belgium. Natacha David, from the Prevention of Violent Radicalisation of Schaerbeek, led the meeting. Ms. David discussed a special project they are developing, entitled ‘Model schools’, which aims to facilitate a stronger link between families and schools. So far, they have already had four ‘Model schools’ organised.